The Iceland I’m familiar with is the supermarket around the corner on the high street. 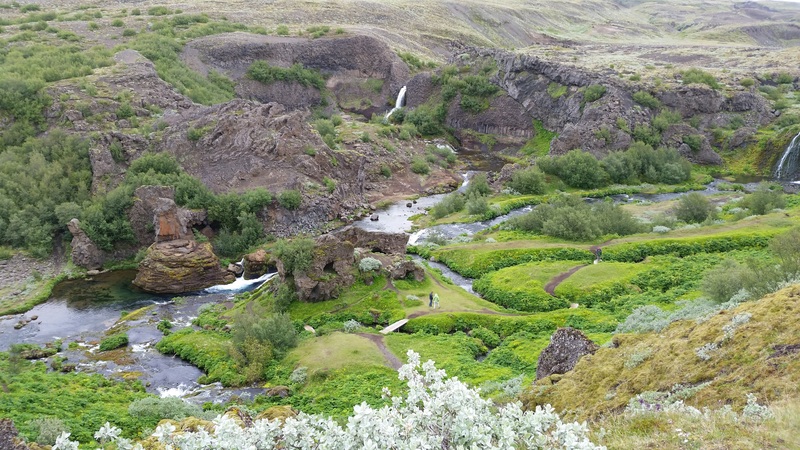 But much further afield is an Iceland known for its active volcanoes and use of geothermal energy. 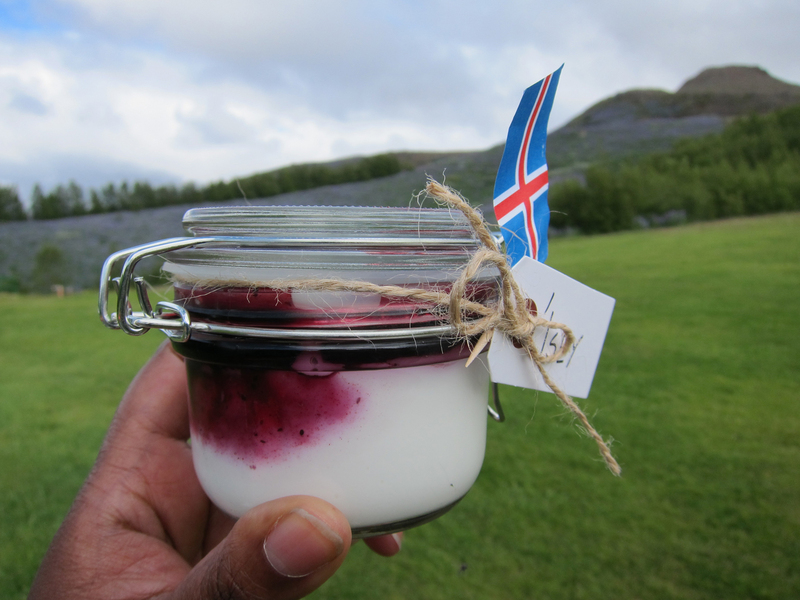 In June I made the 1148-mile trip to its capital, Reykjavik, for the rebranding launch of Icelandic Skyr. Skyr is a high protein and low in fat dairy product and has become embedded in the Icelandic diet. The Vikings are said to have introduced Skyr to Iceland over a thousand years ago when they settled there. It was the women who nurtured this dairy product passing on the recipe and cultures to their daughters. 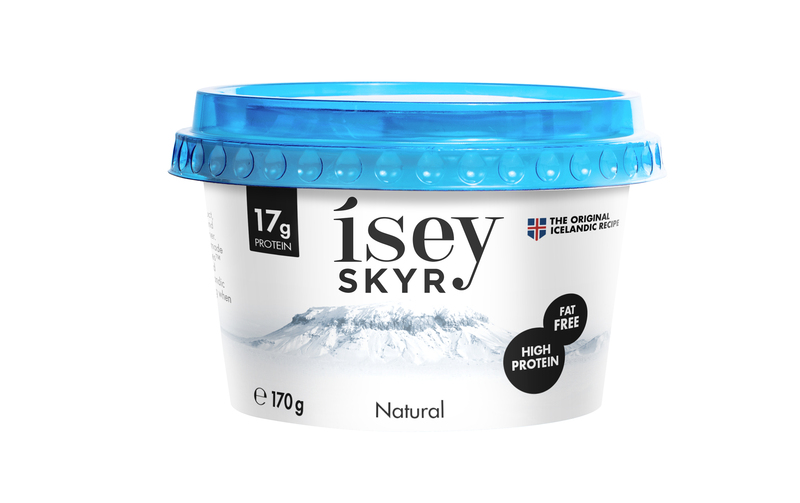 In homage to these women Skyr rebranded to include Ísey, which is an Icelandic female name meaning ice (Is) – island (ey), so it’s now known as Ísey Skyr. Other than a few tweaks to the packaging, the actual product remains the same, all that’s changed is the name. The rebranded Ísey Skyr hits Waitrose and Costco on 2 September 2017, check out your nearest stockist. 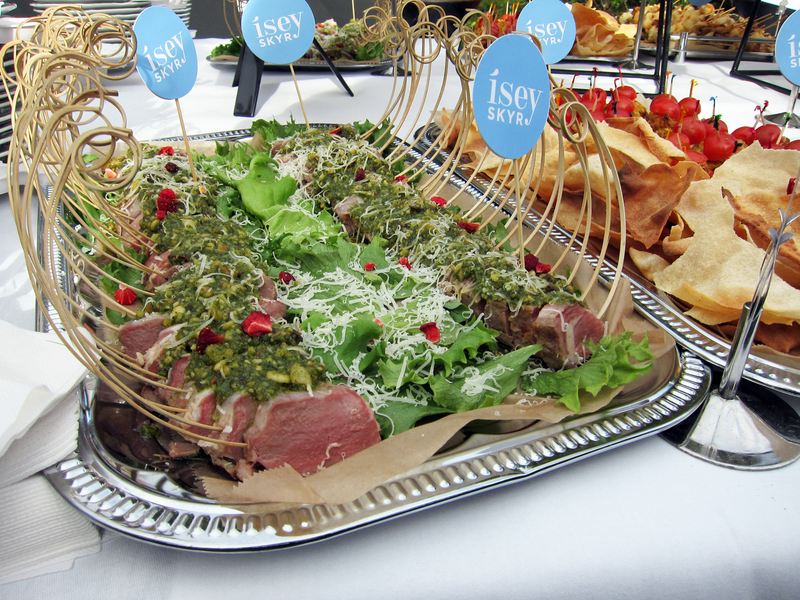 Icelanders know how to party and the outdoor launch party was packed full of tasty Ísey Skyr treats. Herb crusted lamb chops a particular highlight. My visit coincided around the time of the Summer Solstice, which meant it didn’t get dark in the evenings and we partied in the light at night – it was a fun, trippy experience. Tomatoes from Friðheimar. Friðheimar is a greenhouse, restaurant and breeder of horses. 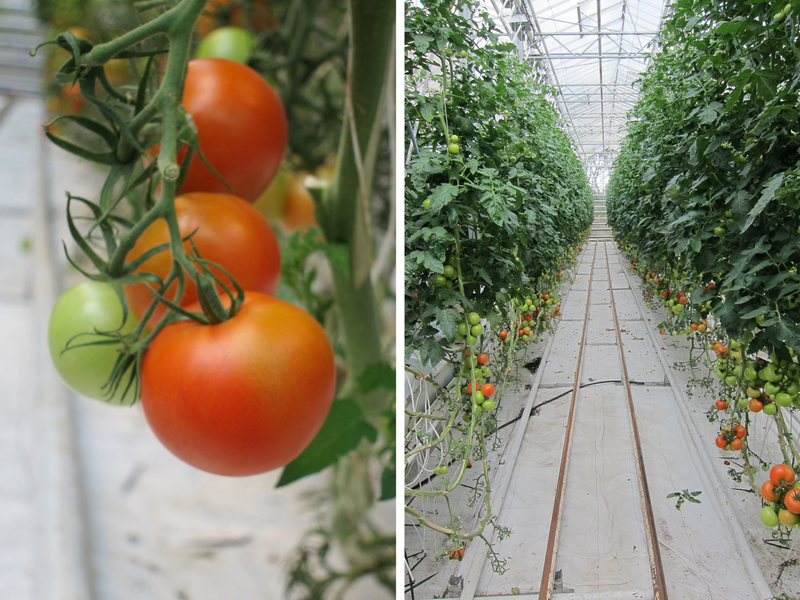 The restaurant is set within the greenhouse, which makes for a unique dining experience. 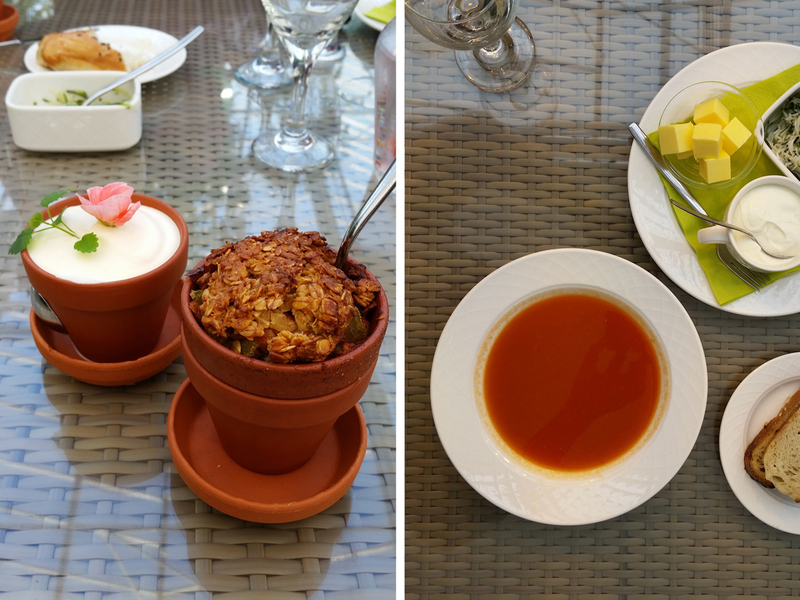 The food is freshly produced and tomato based, where even the desserts feature tomato. 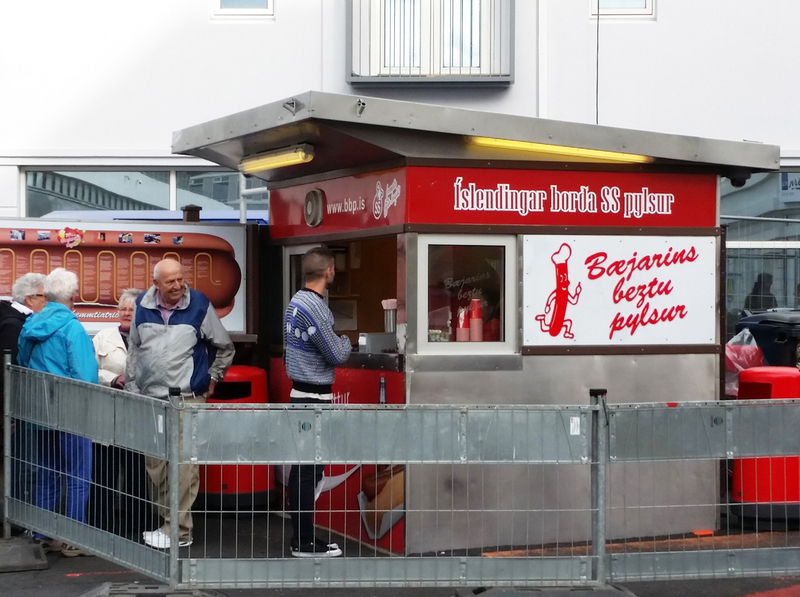 Hotdogs from the world-renowned hotdog stall Bæjarins Beztu Pylsur famed for its lamb hotdogs and celebrity customers such as Bill Clinton and Anthony Bourdain. 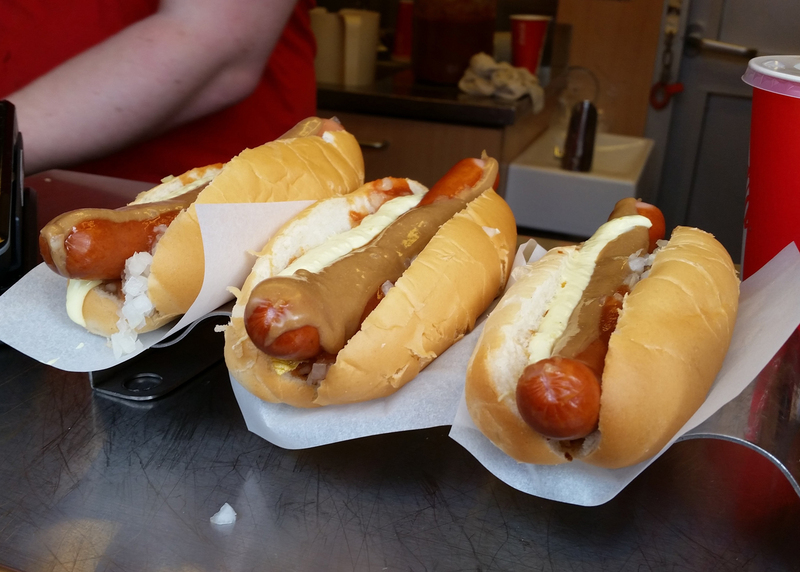 The hotdogs look a mess, but the flavour was good and I can see why its popular. It’s definitely worth at try. Icelandic Rye Bread baked underground in naturally boiling water. 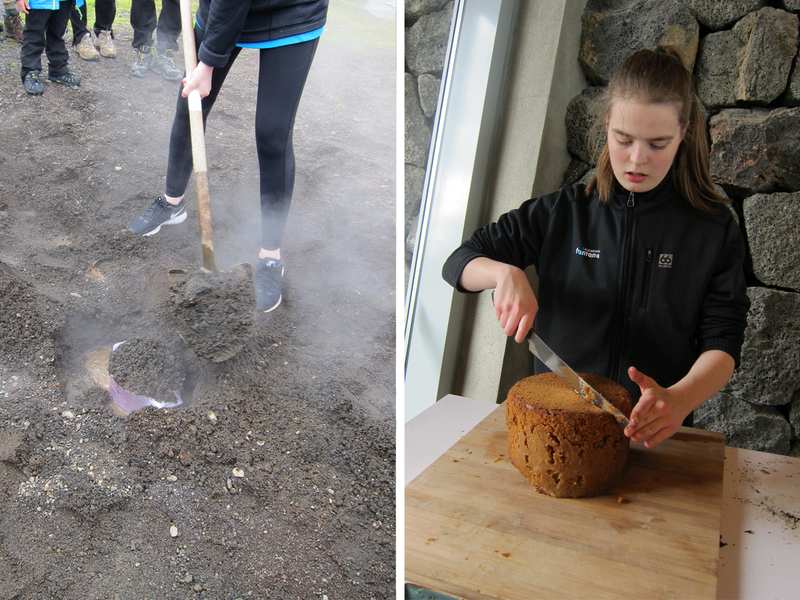 It’s also known as Hot Spring Bread and tastes sweeter than most rye bread, it’s dense, treacly and a bit cake-like. 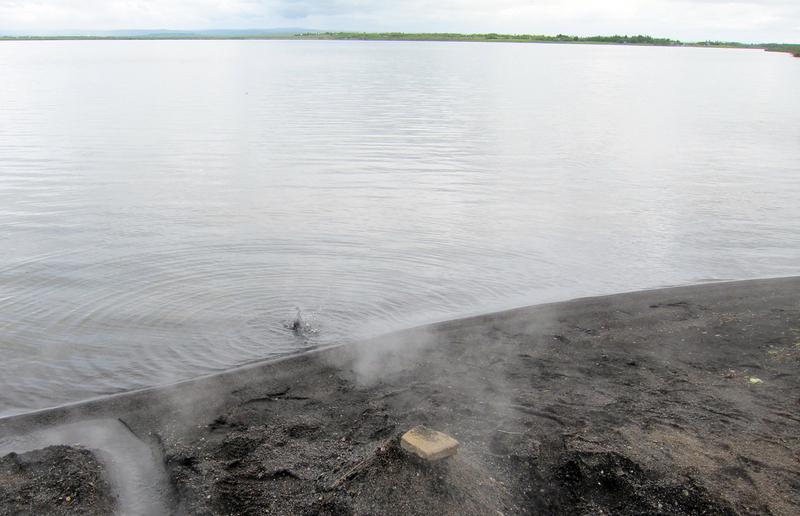 I ate this at the geothermal baths at Laugavautn Fontana and took a lovely dip in their baths after. and lastly, super fresh, perfectly cooked cod from Bergsson Mathus. 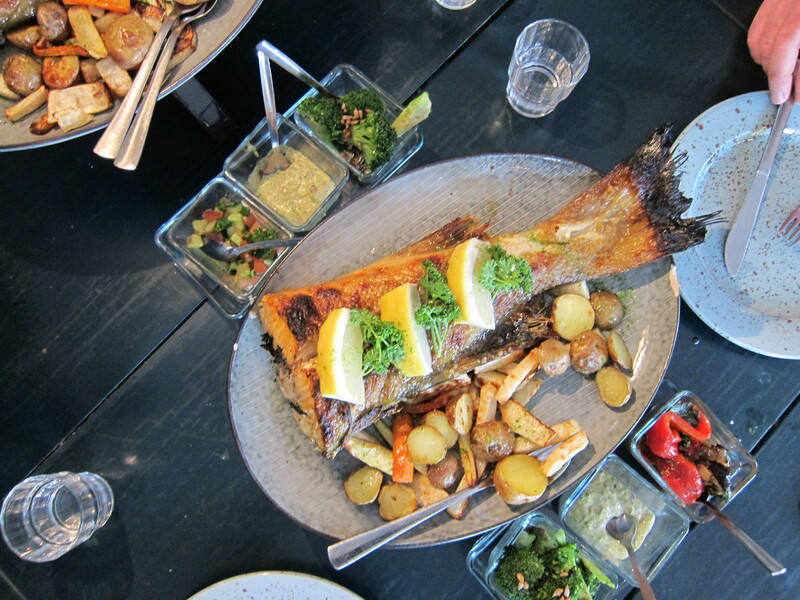 You can’t come to Iceland without trying the seafood. I was in Iceland for an action packed two days and two nights. 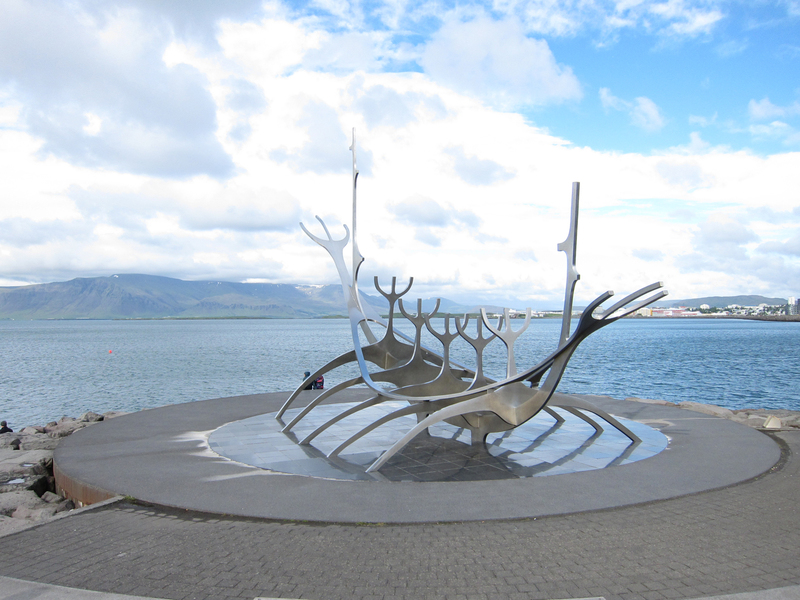 I’ll leave you with this photo of The Sun Voyager. It’s a sculpture in Reykjavik by Jón Gunnar Árnason and depicts a dreamboat: A dream of hope, progress and freedom. Perfect expression to the vibe of Iceland. Food I Fancy travelled to Iceland courtesy of Isey Skyr.